The 25-year-old set a new regular season league record of 31 goals with runner-up Zlatan Ibrahimovic finishing on 22 strikes. 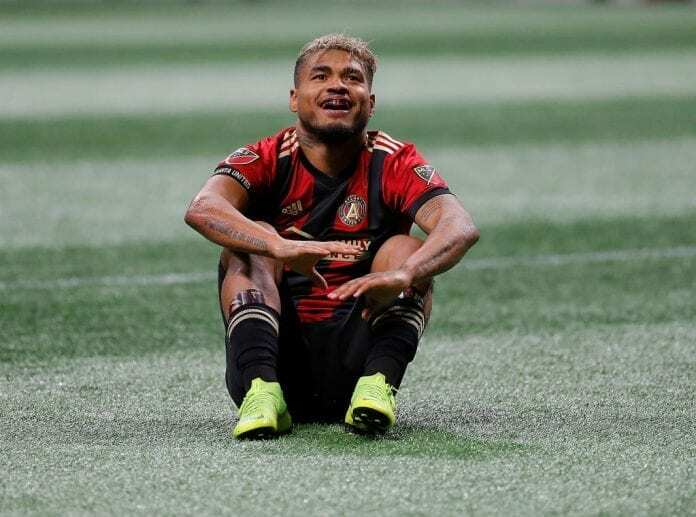 Martinez has since added another three goals in the playoffs to become the MLS’ single-season scoring leader at 34 goals. Now the MLS announced on their website that the Venezuelan’s feats have been acknowledged by winning the biggest individual honour in the league. “Really, I’m very happy,” said Martinez. Martinez has been linked with a move to Europe since the last transfer window. But he set the record straight on his future after collecting the MVP award. “I’ve said it before that I am going to be here as long as they want me,” Martinez on the MLS website. “I am happy here, I feel like I’m at home. Martinez will be back in action on Sunday, where Atlanta will meet Portland Timbers this Saturday in the MLS Cup final.